Dr. Andy Ambrose, Executive Director, brings to the Tubman Museum over 20 years of museum, academic, public history, research and teaching experience. Prior to this appointment, Dr. Ambrose was employed for 14 years at the Atlanta History Center, where he served as Deputy Director, Chief Operating Officer, and as the director and administrator of a large number of History Center departments and divisions. Since 1981, thousands of people from around the world have experienced art and history at the Tubman African American Museum. We are not just a museum – we are an educational adventure through time. It all started in 1981, when Father Richard Keil made a down payment on a dilapidated former warehouse in downtown Macon. Named for Harriet Tubman, the “Black Moses” who led hundreds of slaves to freedom, the Tubman Museum has grown over the years to become the largest institution of its type and a key educational and cultural resource for the entire southeast region. Through generous donations from the community, the Tubman has a beautiful new 49,000 square-foot museum. The Tubman Museum works tirelessly to not only educate its visitors about African American art, history, and culture – but to also be a community resource. 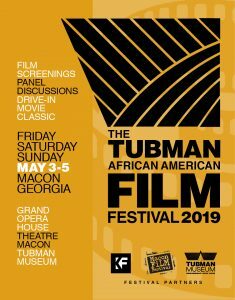 If your organization is interested in partnering with the Tubman Museum on your iniative- simply contact the Executive Director, Andy Ambrose.